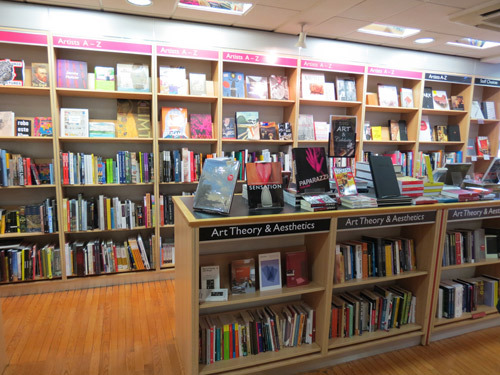 This is a review of the Art Bookshop area on the second floor within Foyles Flagship book store at 113-117 Charing Cross Road in central London. Below you will find a review including photographs of the bookshop. First a note for those who know the Foyles of old and have not visited for some time. I first started going to Foyles when I was a student in the 70s when it was ran by Christina Foyle. It was a complete and utter maze interspersed by book stacks on the floor as well as the shelves. It had the most books of any bookshop in London but finding them wasn't easy and the process of paying for them was completely antiquated and very slow. As a result, it's one of the few bookshops that has made it into Wikipedia. However all that was swept away and the shop has enjoyed a complete and comprehensive makeover. The shelving is now exemplary and shopping for books is a complete pleasure. 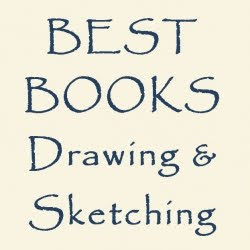 RECOMMENDED: I'd go so far as to say this is probably my bookshop of choice for art books. The only improvement I can think of would be the addition of a few comfy chairs and a rethink of the location of books on shelves relative to the demographics of its customers! conveniently located for people visiting Oxford Street / Tottenham Court Road / Covent Garden / Leicester Square area. 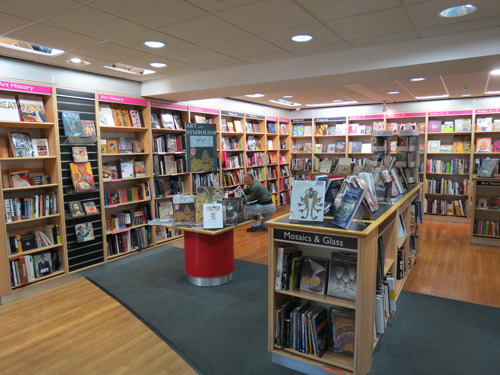 a visit could get expensive - because you see so many books you want! 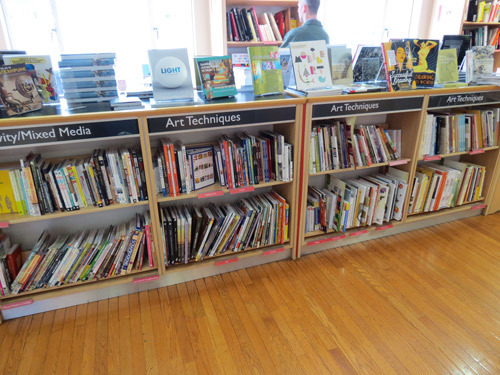 Summary: This is the bookshop to go for art books if you like a good selection and you enjoy a better quality art book. 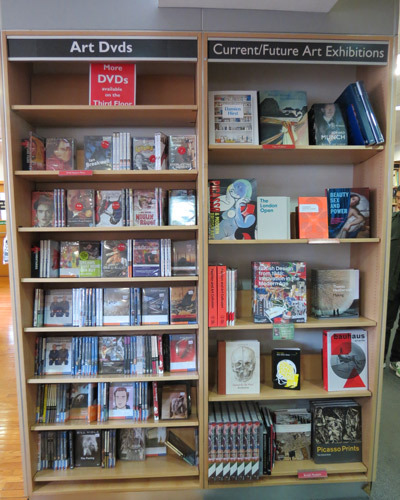 I’ve got a very good awareness of art books in print and on offer and I was generally very impressed with the books they’d chosen to stock. 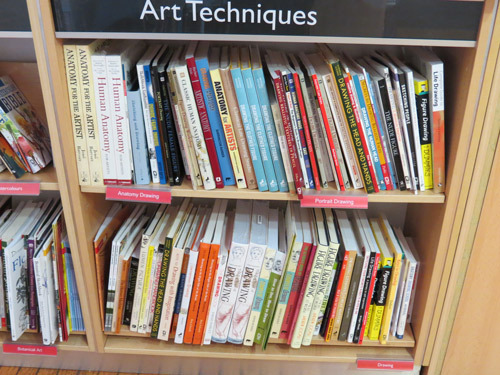 This is a very good place to start if looking for books on a particular art topic. Foyles is due to move to a purpose-built bookshop in the adjacent former Central St Martins building in late 2013 or early 2014. They are now actively involved in planning the design of the new bookshop. I use Ning to provide a framework for online discussion groups about art. The framework they offer and the service they provide is great. However I have one MAJOR complaint about Ning. I complained about it last year - to Ning. The situation is no better this year so I'm going to complain about it again - and this time I'm doing it in public. 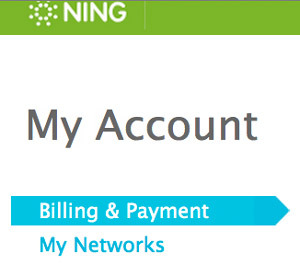 Ning's communication with respect to annual subscription billing is absolutely APPALLING! ABYSMAL is another word I would quite happily use. Communication is limited to a pop-up message on entry to the network. There are no invoices delivered via email to the owner's inbox - PRIOR to payment. Payment can be made BEFORE an owner has had a chance to review the payment. Now as it happens I don't want to revise my current arrangements. However if I did Ning doesn't give me much of a chance to do something about it. However as somebody who is very familiar with the proper statutory requirements and other good practice standards applied to systems for billing accounts I know that Ning's arrangements fall far short of what's required. I conclude that Ning's communication on invoices is very poor and below all reasonable expectations of standards for online payments. It made me think last year that there's a need for some sort of online financial systems ombudsman. I'm thinking the same thing again this year. This is the online billing enquiry they're receiving from me today. Why does a responsible company not have a setting for account details and payments of invoices linked to an individual's personal account and/or the network account. Why do you not communicate with the site owner via email in advance of the billing date with respect to annual billings. I do not in any way regard a flash-up message when logging in as any sort of adequate substitute for proper communication. For one thing there is no online record which is accessible to me that it has occurred. Are your billing arrangements fully transparent and completely compliant with all statutory legislation and prevailing good accounting practice relating to the payment of bills for online services? I'd be very interested to hear about other people's experiences of Ning's Billing arrangements. UPDATE: Here's the automated response which completely fails to address any of the questions asked. Like I said - their communication is abysmal!